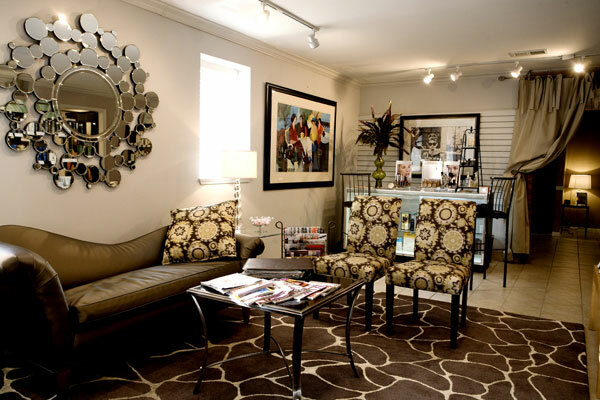 You will notice the difference immediately upon entering our salon. Our level of care, professionalism, and attention to detail will surpass your expectations. Yes. We have stylists that specialize in cutting and styling hair, as well as color technicians that specialize in all phases of hair color. Pricing at That French Salon varies according to a few factors, which include the length of your hair, the stylist you are working with, and the overall time spent on your hair. During your consultation, pricing will be discussed before we begin your new style. What Do I Need To Know About The Consultation? Before we perform any service, we do a complete consultation with you. We want you to be happy with your look and we want you to feel comfortable with the cost and home maintenance program. For your first coloring visit to That French Salon, we encourage a preliminary, 5 to 15 minute consultation to help us agree what your coloring needs are, in regard to time and cost, and facilitate scheduling your coloring appointment. There is a $25 consultation fee, which will be applied to your subsequent salon visit. Included in this consultation are: understanding the concept of your desired result, your new or existing haircut, your new or existing highlight or hair color, the cost and timing of the service, the cost and timing of maintenance, and your home care. This way, you are thoroughly informed of all of the options for your particular hair coloring, and your coloring visit to us will be surprise-free. For the comfort and convenience of our clients, and the safety of your children, we ask that children visit the salon only if they have an appointment. Tips are greatly appreciated but are not required. Tips added to checks or credit cards will be added to your stylists' paycheck as we do not keep enough cash on hand and this greatly simplifies our accounting records. Our goal is to provide every client with a pleasant, stress-free, and relaxing salon visit. Unruly children and cellphones tend to disrupt our environment. For the comfort, convenience, and safety of your children, we ask that children visit the salon only if they have an appointment. Please turn your cellphones to vibrate and refrain from talking on the phone while receiving a cut or color as it is very difficult for your stylist to do a good job under these circumstances. That French Salon is a smoke-free environment. Should I Wear A Smock? Yes. We ask that you put on a smock when getting your hair cut and/or receive chemical services. We want you to leave with your clothes as fresh as when you came in. Is Styling Included With My HairCut? We feel our job is not complete unless we see the finished product. All haircuts and chemical services include styling. We want to assure your satisfaction before you leave the salon. We don't use curling irons or conventional dryers. The foundation of any style is a great haircut along with finishing products designed for your hair. Our goal is for your hair to look as great from the time you leave us until your next salon visit. We offer water, coffee, and wine (adults only) during your visit to the salon. If you're here for an extended time, we'll be happy to send out for lunch. Time is the most valuable asset to all of us. Appointments are scheduled in advance and many stylists have a waiting list, therefore changes or cancellations require 24 hours notice. NO-SHOWS will be billed for missed appointments or may be denied as clients. Appointments require a credit card to reserve that particular time. Please let us know if you are dissatisfied with any service at the time of departure so we may remedy the issue at that time. If for any reason you are unhappy with any service, we will re-do any service within 7 days. We will give a 30-day store credit on any retail items. No returns on makeup. We accept one coupon per visit, not to be used on sale items. Our VIP cards will be punched for a minimum $40 hair service only. We offer extra-early and extra-late, or even Sunday appointments for an additional fee. We will come to you to provide services for shut-ins, hospitals, weddings, etc. by special request. Just let us know your special needs. Your safety and your personal belongings are of the utmost importance. Please do not bring valuables into the salon, as we cannot be responsible for any items left behind. We use only the best professional products on your hair and we can only guarantee your color and styling results with products we recommend for home use. We use Aveda products and we are proud to do so. Aveda was founded on caring for you and the Earth -- using renewable resources and constructive environmental practices -- not only makes good sense financially, but, we believe, is the only sustainable path to the future. Their products are superior. Whether it is hair care, makeup, skin care, body care, perfumes or lifestyle products, That French Salon has it all. A $25 charge is placed on all returned checks. We are closed Memorial Day, the 4th of July, Labor Day, Thanksgiving, Christmas Day, and New Year's. We offer gift cards in any amount for any service or product. We can customize a gift certificate for anyone on your gift-giving list. Ask about our "Day Of Pampering."